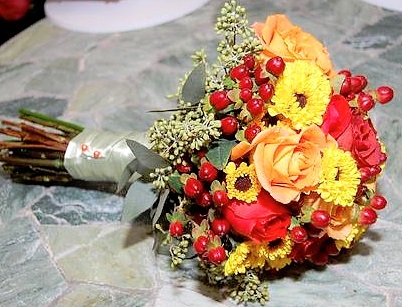 At Country Floral & Boutique, LLC, we customize designs with you in mind! Country Floral & Boutique, LLC, in Neillsville Wisconsin is a family owned and operated business backed with over 15 years of floral experience. To accomplish our mission Country Floral & Boutique, LLC, brings you a wide variety of fresh flowers, plants, and gifts. We are confident that you will be able to find something to suit any occasion. We hope you enjoy your online shopping experience with secure 24-hour ordering at your fingertips. If preferred, you may call us to place orders direct at 715-743-3777. Our family is inspired by you! We offer you flowers in fresh, or silk that is big, or small. Would a large elegant bouquet express how you feel? Or, maybe, a small country bunch would tell a better tale. Whatever the occasion or intimate event you can rest assured that your loved one will receive quality fresh flowers, and a one of a kind design. We're a local Neillsville, Wisconsin florist delivering courteous, professional service and the highest quality floral and gift items around. Our experienced designers can create floral designs that will complement any occasion and meet your budget and style expectations as well. We also offer daily delivery service to all local funeral homes and hospitals. Call our shop in advance at 715-743-3777 to schedule your consultation. Call or stop by our shop in Neillsville. Choose from our nice selection of Green Plants, Blooming Plants, Dish Gardens, Fruit Baskets, Gourmet Baskets, Gift Baskets, Garden Decor, Baby Gifts, Fannie May Chocolates, Candy, Greeting Cards, Home Decor, Scented Candles, Silk Flowers, Plush Stuffed Animals, Willow Tree gifts, scarves, Ladies Apparel, Purses, Howard's Jewelry, Purses, Skin Love bath soaps, Religious & Spiritual gifts, Wine Bottle holders, Fairy Gardens, Blue Mountain Cards, apparel, jewelry, local maple syrup, Door County Coffee and more! Call or visit us today… we look forward to meeting you! Thank you for visiting our website for flowers delivered fresh from a local Neillsville, WI florist and easy online ordering available 24 hours a day.